Jeff Bezos is a vibrant man he and his recent move towards grocery have been in the works for a while now. But it’s not a gamble, nor was it a binge purchase (unlike what a lot of us do on Amazon.com). There are a number of good reasons for the acquisition, the expansion of Amazon Fresh and Amazon Go, and the need for multisensory experiences during purchasing being just two of them. But the most important is this – brick and mortar Amazon stores are set to revolutionize shopping because of a new Secret Product coming to a store near you. First, think about the average user who has signed up for Amazon Prime. Let’s call her Robin. Robin is willing to (and can afford to) pay a premium every month for quicker guaranteed deliveries. She also orders enough from Amazon every week that she believes Prime is worth the investment. Think about the average user who shops at Whole Foods. Let’s call her Robin. Robin is willing to (and can afford to) pay a premium every month to shop for groceries. She believes that the quality is worth the investment. 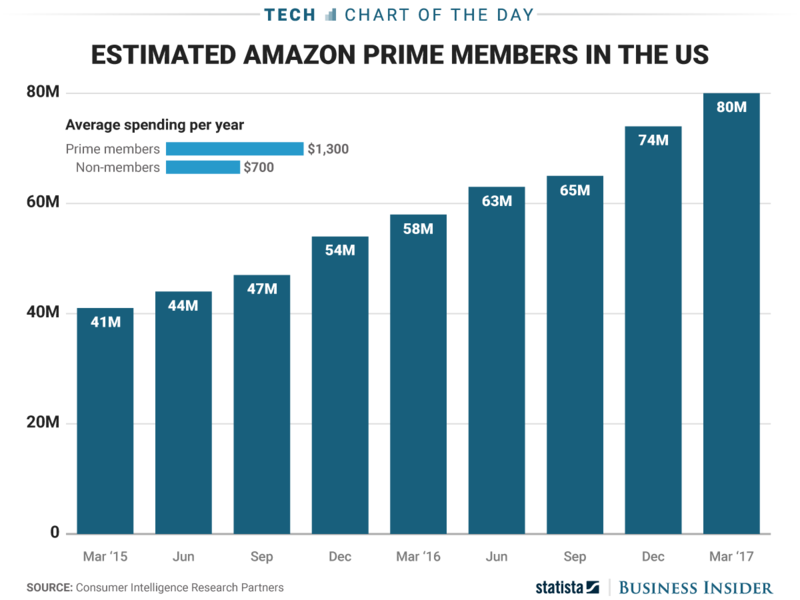 The demographics of Amazon Prime users include this – they’re middle-aged, there are more than 80 million of them, they spend almost double as compared to non-prime users, and they make good money. And so, Amazon might have just set itself up to give its customers a brand new Secret Product – customized grocery stores that cater to each of its audiences. This demographic is eerily similar to the demographic at Whole Foods. So, this does explain why Whole Foods, but why grocery stores at all? And what’s this secret product that Amazon can suddenly bring to these customers with the purchase of Whole Foods? To understand that, we need to understand why Walmart became successful. Just bear with me; it’ll make sense in about 60 seconds (and the stopwatch starts now). In 1975, according to Newsweek, when Walmart was a tiny fish in a sea of supermarket sharks, it did what no one else dared to – Walmart bought a computer. It started to collect data. It started to sort that data. And it started to use that data. With the introduction of barcodes on every product, Walmart knew everything about its stores. It knew which brands sold well, and which ones just took up shelf space. So if Central New Jersey hated Colgate products, Walmart wouldn’t waste too much space or money on them. If Southern California was a huge fan of Crest, dental aisles would be stocked heavily with them. Walmart was a mile ahead of its competitors. But Amazon took that idea – and converted it into something much bigger and better. Walmart knew a lot about its stores as a collective. But Amazon knows a lot about its individual customers. It knows about the products you’ve bought once in your life. It knows about the products you buy every two weeks. And as scary (or comforting, depending on who you are) as it sounds, Amazon knows where you get those products delivered. Today, Amazon can build a national heat map of every product available on its website – they can tell where Colgate is the hottest brand for toothbrushes, and where Crest reigns supreme, down to the city. They can tell where Coca-cola is popular, and where Pepsi has the upper hand, down to the zip code. In short, it knows where and what each and every one of its 300 million customers buys, down to the house. It did what Walmart did decades ago – but better. Can that be applied to the newly purchased, and long-time struggling grocery stores? Can Amazon customize each Whole Foods to be relevant to the customers they are meant to serve? It might not be immediate since Amazon Fresh only has so much data to provide, but over time, can’t Amazon tell which grocery products are incredibly popular in Central New Jersey, and which ones rarely sell in Southern California? The traditionally 1% profit earning industry, is set to transform itself into a moneymaking behemoth. Amazon will soon be capable of composing each of the 430 Whole Foods stores with primarily only the products that are going to sell – then it becomes clear as to why Jeff Bezos is a hundred miles ahead of his competitors, and why my future grocery shopping visits are about to be a lot more pleasing. No shelf space wasted. All products sell. Costs are reduced. Profits will soar. Whole Foods is not just about natural foods. Thanks for any other wonderful article. Where else may just anyone get that type of information in such a perfect approach of writing? I have a presentation next week, and I am at the look for such info. we need to understand why Walmart became successful. Thanks for any other wonderful article. Where else may just anyone get that type of information in such a perfect approach of writing?